Sure, that’s a lot of scandal and a lot of circumstantial noise surrounding Sarkozy. 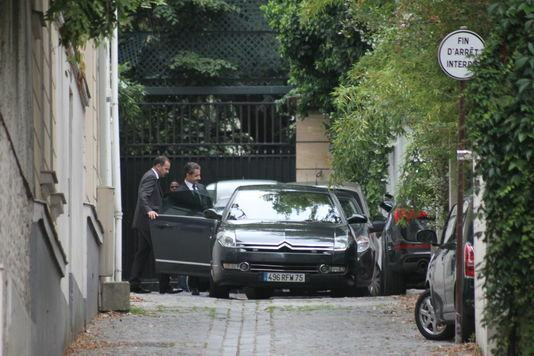 But what happens if Sarkozy actually goes to jail? There’s certainly a sense that the right candidate could oust French president François Hollande in 2017, but the UMP reserves are light if Sarkozy and Copé can’t run. Sarkozy’s former prime minister François Fillon is highly regarded as a competent, moderate administrator. But he lost the narrow UMP leadership election to Copé in November 2012 in a debacle that nearly split the UMP into competing moderate and conservative camps. Though it’s easy to imagine Fillon thriving as president, it’s difficult to imagine he’s the best candidate to wage the fight against Hollande, while simultaneously keeping Le Pen at bay. Alain Juppé, the first prime minister to serve under former president Jacques Chirac from 1995 to 1997, returned to the front lines of government as foreign minister in 2011. But that followed a decade of political exile after his conviction for mishandling public funds. Moreover, Juppé will be 71 at the time of the next presidential election. Though former environmental minister Nathalie Kosciusko-Morizet remains a rising star on the French right, her presidential aspirations were probably dashed when she lost the admittedly uphill battle to become Paris’s mayor in March 2014. Hollande, the leader of the center-left Parti socialiste (PS, Socialist Party) remains incredibly unpopular, despite replacing prime minister Jean-Marc Ayrault with the more conservative, Spanish-born interior minister Manuel Valls, perhaps the only government minister with real popular support, in March. Though Hollande has three years to turn around his image, it won’t be easy, and there’s a sense that the French electorate gave up on Hollande over a year ago amid fumbles on economic reform and jump-starting the French economy. In March’s local elections, Le Pen’s far-right Front national (FN, National Front) made extraordinary gains, and in the May 25 European parliamentary elections, the Front national won more support than any other party, with 24.85% of the vote to just 20.80% for the UMP and 13.98% for Hollande’s Socialists. A mid-April IFOP poll gave Sarkozy 31% against 24% for Le Pen ad 18% for Hollande in a hypothetical presidential election. But without Sarkozy in the race, Le Pen’s support rises. In a different match-up, Le Pen leads with 29% against Sarkozy’s former prime minister François Fillon, who has 22%, with 19% supporting Hollande. Most polls show that Sarkozy would defeat Le Pen by a two-to-one margin in a runoff, and it’s almost certain that any runoff between the UMP’s candidate and Le Pen would result in a UMP victory. Though it’s still a long ways off, there’s a chance that a weak UMP candidate could fall behind both Le Pen and Hollande, and polls show that Hollande is now so unpopular that he could conceivably lose to Le Pen, which would amount to a political earthquake not just for France, but for the entire European Union. Photo credit to Pierre de Cossette / Europe1.